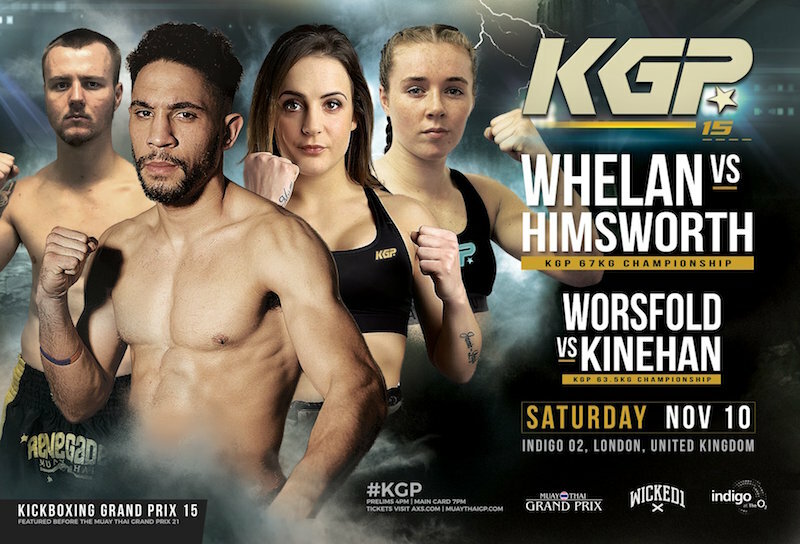 KGP European champions Luke Whelan and Joe Himsworth will fight for the chance to become a two-division champion at KGP 15 on Saturday 10th November at the Indigo in London. The champion vs. champion bout will be to crown the new KGP 67kg champion. KGP 70kg European champion Luke “Skywalker” Whelan was last seen in action against Vinny Church in a successful title defense at MTGP 17. Whelan recently experienced some changes in his training camp after head coach Kieran Keddle immigrated to Canada. The Double K representative has been preparing for this bout with Double K’s Muay Thai coach Rittijak Kaewsamrit and Team Tieu. KGP 65kg European champion Joe “The Hammer” Himsworth fights out of the Renegade Combat Academy in Stevenage. 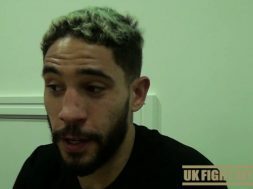 Himsworth picked up a win on the big stage at GLORY 54 in June, where he got a unanimous decision over Brad Stanton. The Hammer knocked out Whelan’s Double K teammate Kieran Manwaring to capture the KGP 65kg European title at KGP 5. 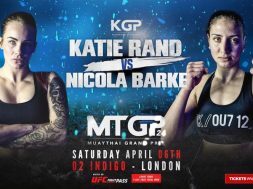 Sarah Worsfold will meet Niamh Kinehan in a potential fight of the night for the inaugural KGP Women’s 63.5kg title. Sarah fights out of the Falcon Kickboxing gym in Romford, Essex under the tutelage of Paul Green and Matt Higgs. Worsfold (2-0) is coming off a crazy first round head kick knockout of Elmar Codd at MTGP 17 in July. Sarah had a successful amateur kickboxing career at 24-3 and went 3-0 under amateur K1 rules. Niamh Kinehan is currently ranked No. 6 in the UK rankings and fights out of Franks Gym in Manchester under the watchful eye of Frankie Hudders. Kinehan also scored a head kick knockout in a recent bout against Laure Bailacq at MTGP France.